Whenever we have warned about food recalls for possible Listeria monocytogenes contamination, we add the warning that the symptoms from this illness may take up to 70 days to appear. Many people are confused by this statement. Why do Listeria monocytogenes infections take so long to appear? Scientists may have answered at least part of that question. A study conducted at AgroParisTechn and Université Paris-Saclay showed that bacteria can enter “host cells” while these cells are dividing. That makes it possible for the pathogenic bacteria to hide and not be detected on culture media that doctors use for diagnostic tests. The bacteria are viable, but in a state that prohibits cultivation. 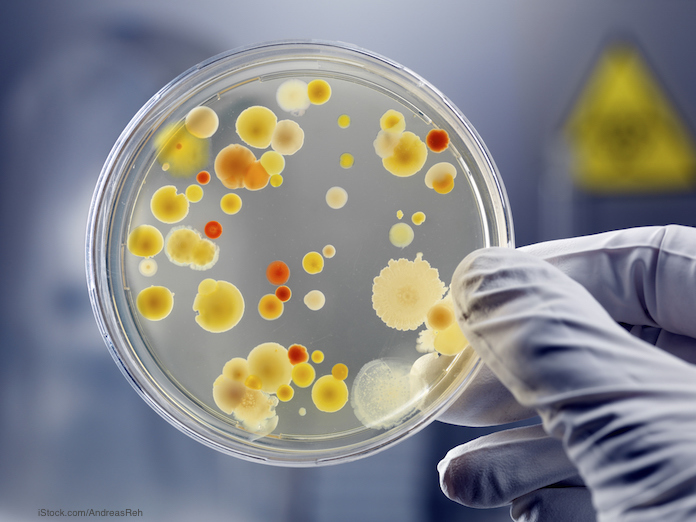 Scientists have known that Listeria bacteria can invade many different cells in the body. It has been found in the placenta, intestines, liver and brain. When Listeria gets into the cell’s cytoplasm, it uses filaments called the cytoskeleton to travel and spread into other cells. That’s how it moves through the tissues in the body. That this bacteria can hide in the placenta is why this infection is so dangerous for pregnant women. In 2015, researchers found the placental breach mechanism that Listeria bacteria employ. Listeria monocytogenes infections can cause miscarriage, stillbirth, premature labor, and infection of the newborn. For instance, in the Vulto raw cheese listeriosis outbreak earlier this year, a newborn was infected. In the study, researchers worked in vitro, using cultures of human epithelial cells. They found that Listeria monocytogenes could change the way it worked when it penetrates the liver and placenta. The bacteria stop producing a critical protein that helps them spread. Since the bacteria are inside the cells, they can resist antibiotics, and can eventually regenerate themselves to start growing again. These dormant forms can be harbored for weeks of months. This mechanism can also explain why someone with listeriosis may not be properly identified. The study showed that scientists and doctors have to develop new diagnostic tools and treatment therapies to fight this bacteria.